Strawberry Milk: a blog for fabulously fashioned fetes. : Cherry Blossoms! Cherry Blossom festival around DC makes me feel giddy, like a kid again - and not just because my birthday falls around this time (although sometimes I do feel like those beautiful pink trees are God's way of celebrating my birthday ;) It has become an annual tradition to do a high birthday tea at one of my favorite places in DC, The Willard Hotel. They serve a special cherry blossom tea which is quite an experience, and if you have never participated I strongly suggest making reservations here. Many other great restaurants in the city are serving special cherry infused menus to commemorate the celebration, and it's a great excuse to get out and try a new great restaurant or visit an old favorite to try something fun and unique. For a wedding or special event, there could not be a more beautiful natural backdrop or time to bring in out of town guests to see our great city. 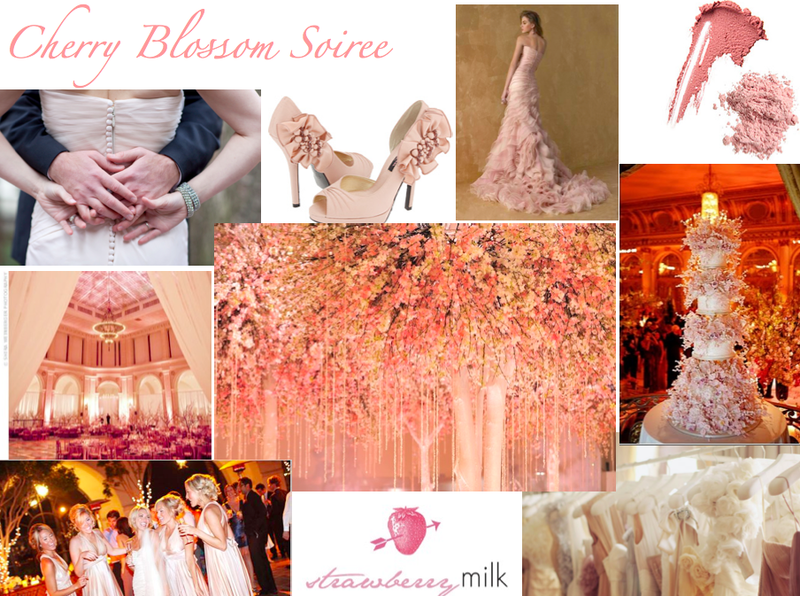 I put together two very different inspiration boards...a chic daytime brunch and an over the top, glamorous evening soiree. 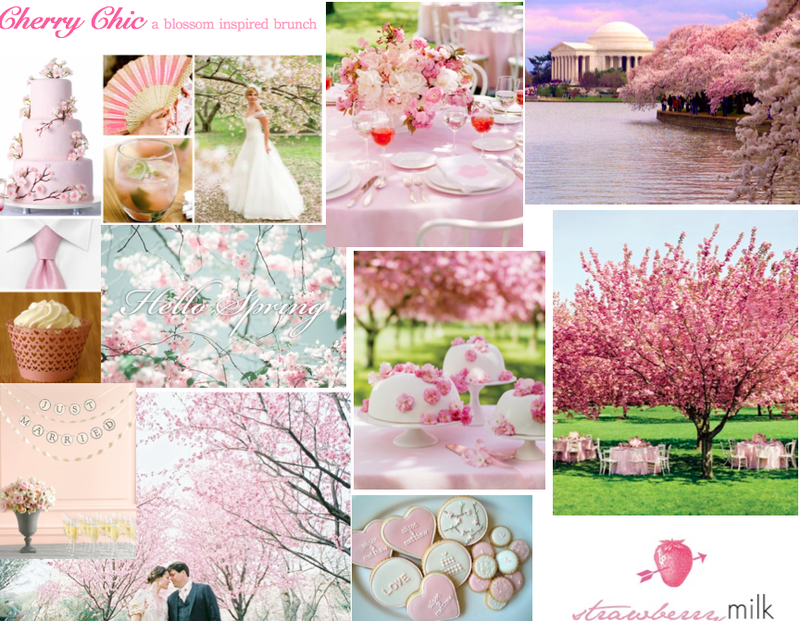 Both themed around cherry blossoms, of course. I love the pink gown in the bottom one! Where is it from?